The number of times I have heard a variation of that sentiment is astounding. As if a) you can’t go to both places, and b) they’re even comparable. Both places are beautiful, but they are completely different. Litchfield has waterfalls and swimming holes. 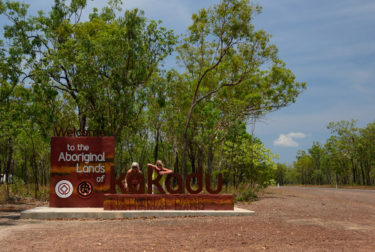 Kakadu has Indigenous history and culture, and wildlife. When you travel in northern Australia, the first and most important thing to remember is DO NOT SWIM. 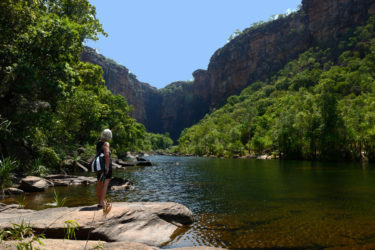 This is croc country. Crocs are found in water everywhere – rivers, creeks, billabongs, even the ocean. Contrary to commonly held belief, it is not humans at the top of the food chain – it is crocs. Venture into their territory at your own risk. I repeat – DO NOT SWIM. So guess what I did today. Now that I’m home, it’s time to review how everything handled while I was away. Remember – this is my experience of the products I used, and yours might be different. I am not sponsored by any of these companies, and none of them have paid me anything, although Doc works for free (for me at least). 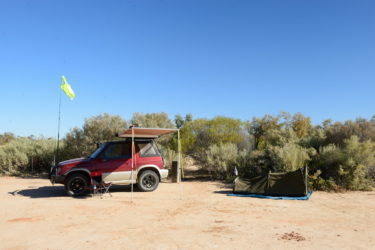 What do you do when you’ve just spent 6 days in the Simpson Desert on your own, and driven over every one of those 600 million sand dunes by yourself? 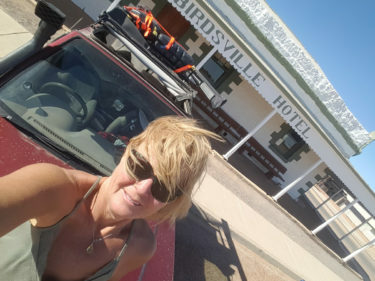 If you’re in Birdsville you go straight to the pub of course. For a celebratory glass of bubbly. A shower can wait for another hour or so! Wanting to savour the morning I woke early and sat up in the swag, watching the sky lightening and listening to the birds greeting the day. The number and variety of birds out here is amazing. And gorgeous song birds. The mornings really are the best time of day out here as the chirping from the night shift finishes and the birds take over for the day shift. 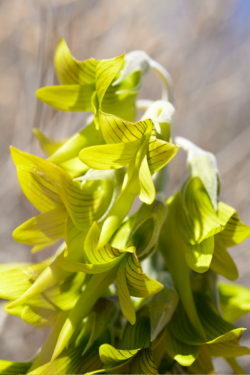 A lot of the desert wildlife is active during the night, so unless you’re lucky you don’t see it, except for dingoes. But you can hear things. While I lie in my swag watching the stars I can also hear chirping, and the rustle of the breeze through the trees. 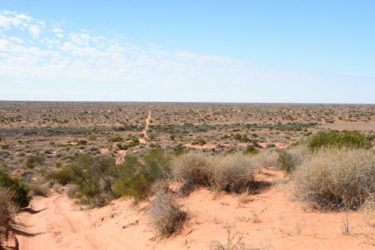 And dingoes howling, you do get dingoes howling at night, but at least then you know how far away they are from you.